Hanoi (VNA) - Director of Juventus Academy Vietnam Dinh Hong Vinh has been named national team head coach Park Hang-seo’s assistant coach. Now Park will have the help of two assistants, his compatriot Lee Young-jin and Vinh, as the team prepares for the upcoming qualifying round of the AFC U23 Championship 2020 and the 30th Southeast Asian Games. 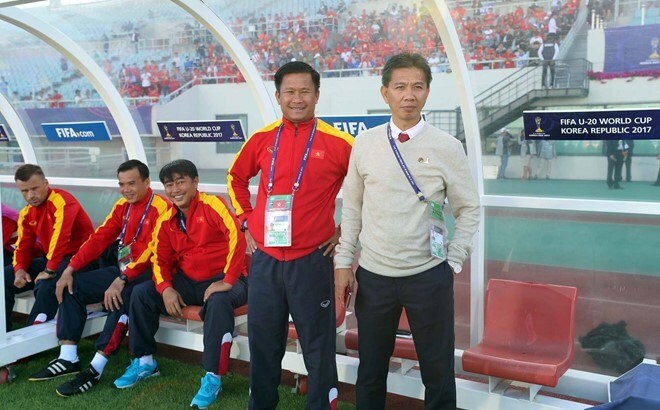 Vinh is also head coach of Ba Ria – Vung Tau, which plays in the Vietnamese Football National Second League. Vinh has more than 10 years of expereince training young footballers at Hoang Anh Gia Lai - Arsenal JMG Academy. Last year, he coached for Can Tho in the national premiere league and then he moved to Juventus Academy Vietnam and was appointed its director. Vinh was also the assistant coach of Hoang Anh Tuan for the national U19 team that ranked fourth in the AFC U19 Championship in 2016 and earned a ticket to compete in the U20 FIFA World Cup. Vietnam’s U23 team will convene in Hanoi on March 6 to prepare for its matches in Group K of the AFC U23 Championship, to be held at My Dinh National Stadium from March 22 to 26. Vietnam will compete against Thailand, Indonesia and Brunei.